PrintBrush is a first of its kind colour inkjet printer for your smartphone. You can now go paperless, save the planet and have the technology which puts portable printing capabilities at the fingertips of all smartphone users around the world. The imprints come out directly onto any type of surface with a simple wave of the hand. 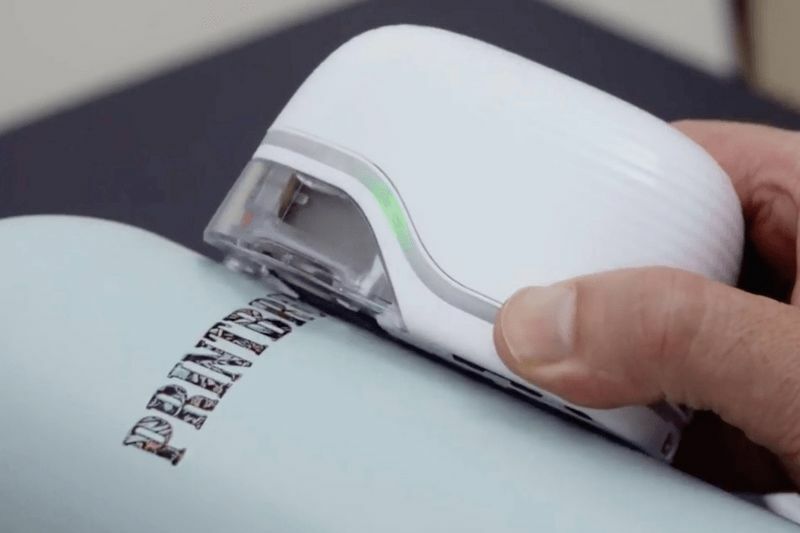 The PrintBrush XDR is the first wireless full-colour inkjet printer and weighs about the same as an average smartphone, however, it can print larger imprints than its own size. This new portable printer will change the way we think about printing because, now for the first time every, it is possible to print anything on the go, in full colour anywhere and on almost any surface. PrintBrush XDR is one of the first devices that features RMPT technology. This technology is the only feasible technology path to build truly portable printing devices. The device makes use of an advanced software instead of relying on the hardware, and RMPT opens the doors for miniaturisation and mechanical simplicity. This is what makes the PrintBrush XDR so unique and an excellent choice for the environment. As the user slides the PrintBrush XDR across any surface, an optical sensor tracks the velocity and direction of the printer relative to the surface it is going to print on. A controller matches the software interrupts the relevant columns of the imprint image. Thanks to the built-in sensors and very unique intelligent software, the PrintBrush XDR will stick with the direction or the speed of a user’s hand movement. You can move as slow or as fast as you want. You can even stop in the middle of the printout, if you need to and the PrintBrush XDR delivers accurate and reliable results, when continuing where you left off. The project can be backed on Kickstarter and the device can be seen in action, in the video below. Can New iPhones Help Apple To Be The Cool Kid Again? Want To Know How To Make Your Own 3d Printer? Video: Specam Will Help You Be 'cleverer'!